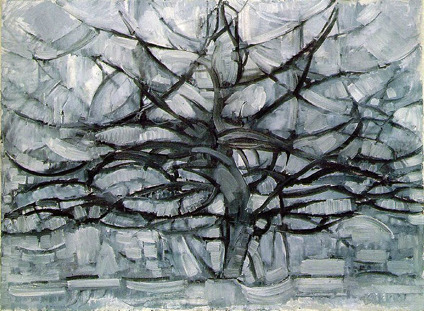 Known as “the father of geometric abstraction,” Piet Mondrian (1877-1944) was a pivotal figure in the revolution of Modern Art that began with Cubism in the early 20th century. In 1940, the great artist fled the war in Europe to New York City. At his death in 1944, all that was found in his apartment was a cache of personal papers. He had pared down his few possessions to some postcards, cablegrams, address-book pages, a notebook, an important unpublished essay, and his horoscope readings, all of which provide an intimate glimpse of a significant artist. The correspondence details his fears and anxieties elicited by the war. 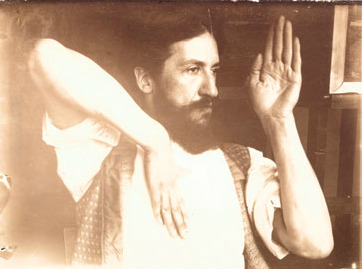 Personal photographs include old-style cabinet cards depicting his parents, candid shots of his early studio in Holland, and a wallet-size photo of Madame Blavatsky, the founder of Theosophy. These items were held, unseen and unpublished, by Mondrian’s estate until a buyer for them could be found. 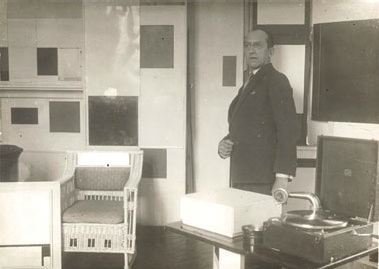 About 60 years after Mondrian’s death, Rhonda Roland Shearer, Director of ASRL and Co-founder with the late Stephen Jay Gould, learned of the existence of the papers. Realizing their importance, she arranged to purchase the collection and secure the copyrights to display the documents online, free of charge. Mondrian’s unpublished personal papers are among other historically significant collections acquired by Ms. Shearer.